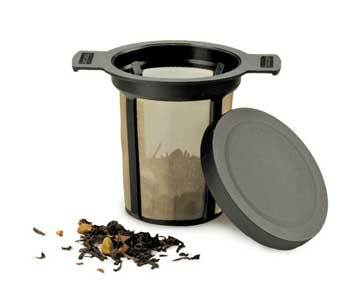 Ideal for brewing a single cup, this convenient infuser fits into any cup, mug or small teapot. The tightly-woven, stainless steel mesh keeps even the smallest tealeaves out of your cup. 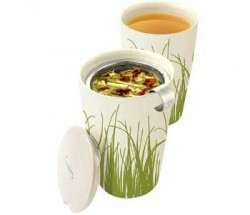 Ideal for brewing a single cup, this convenient infuser fits into any cup, mug or small teapot. The tightly-woven, stainless steel mesh keeps even the smallest tealeaves out of your cup. The depth of this basket allows for increased water-flow-through and allows plenty of room for the leaves to fully expand, resulting in a more flavourful infusion. This versatile infuser is both easy to use and easy to clean.